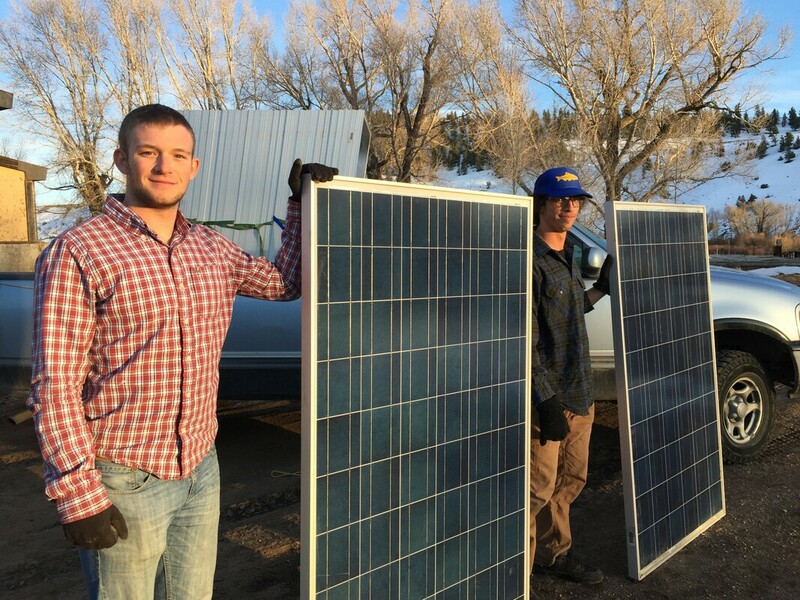 ​Equitable Solar Solutions (ESS) is a group of undergraduate students who aim to bring solar energy to the low-income residents of Gunnison, CO. We accomplish our mission and purpose through the acquisition of surplus solar panels from solar companies or individuals that are looking to upgrade their current solar system. While these panels are not new, they are still able to produce energy and thus still have immense value. By acquiring older panels, costs are drastically reduced, making financial feasibility far more achievable. 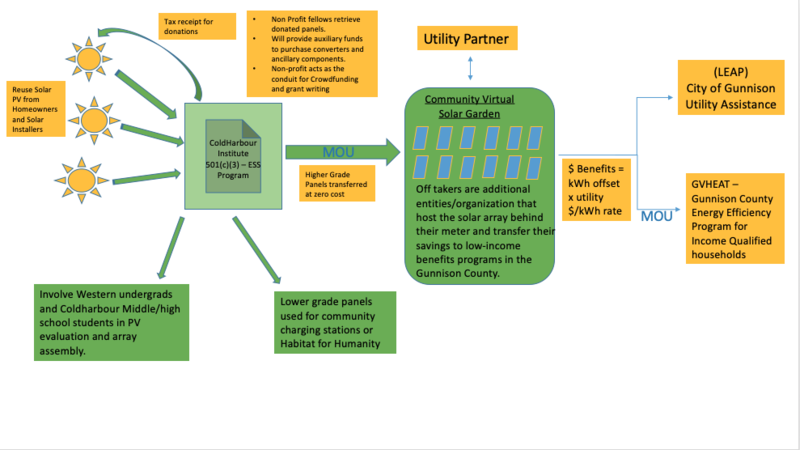 Providing solar energy to low-income communities will help those with the greatest financial challenges pay electricity bills. 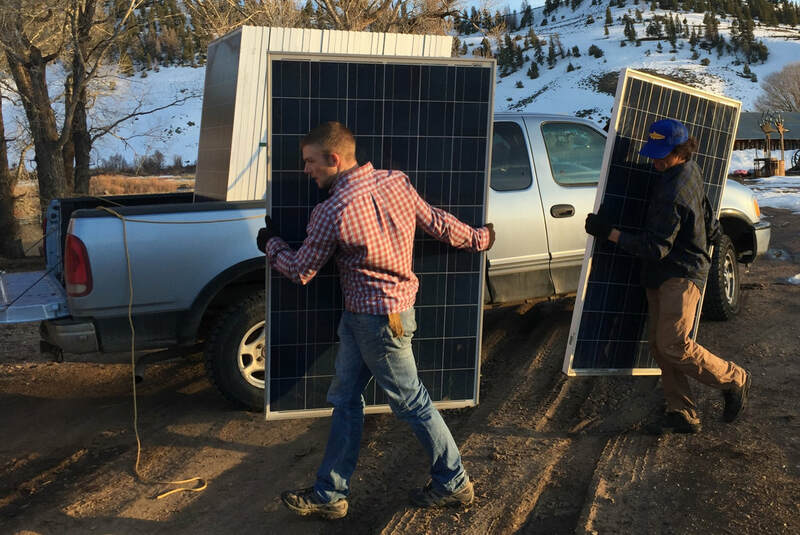 Two of the ESS team, CJ Gooderham and Riley Moser unloading 44 PV panels generously donated by EcoMark Solar.